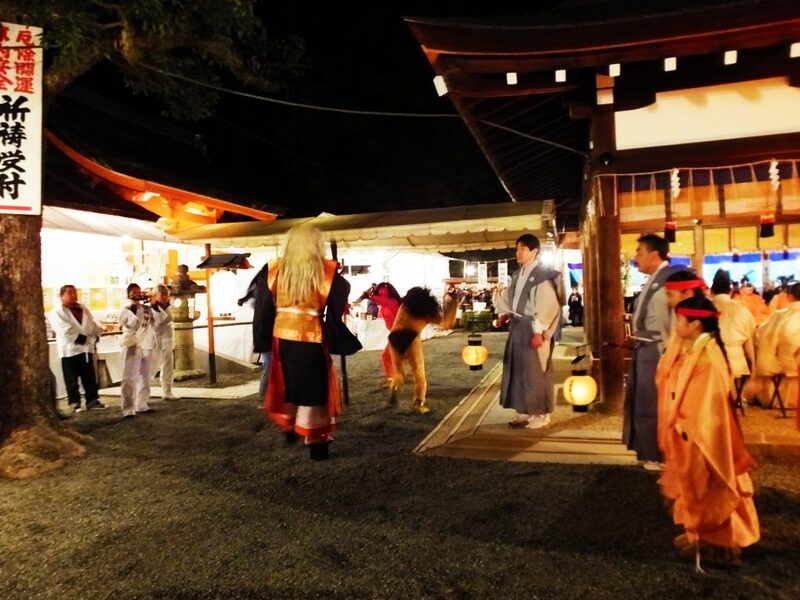 Do you know Setsubun? 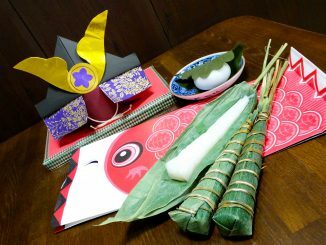 According to the lunar calendar, Setsubun (February 3rd) is the last day of the winter. 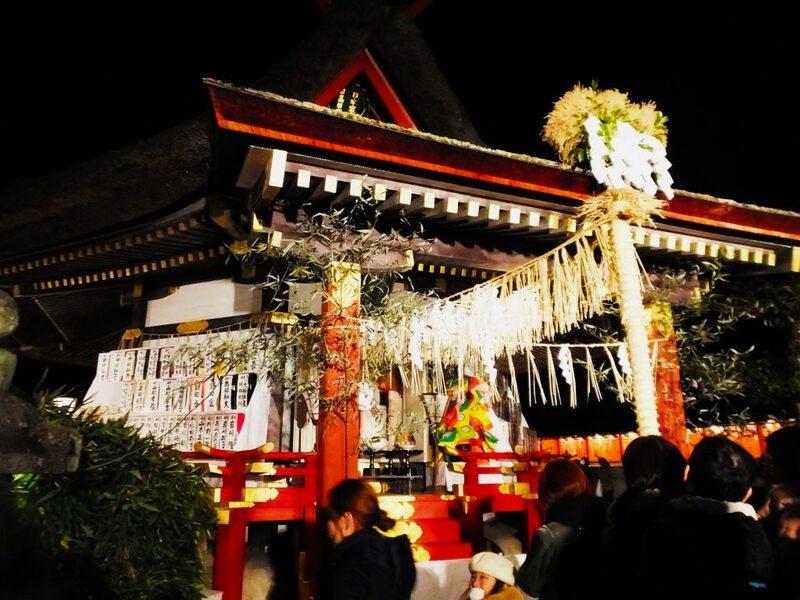 On February 2nd, the day before Setsubun, I went to Yoshida Shrine to see a Shinto ritual called a tsuinashiki or an oniyarai. 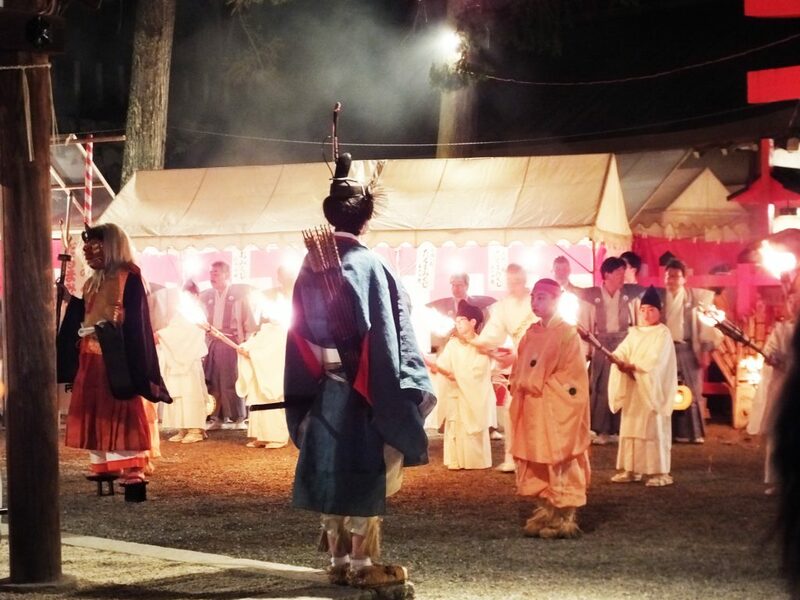 At the tsuinashiki, you can see a performance of demons. A good demon exorcises bad demons, which is thrilling and fun. 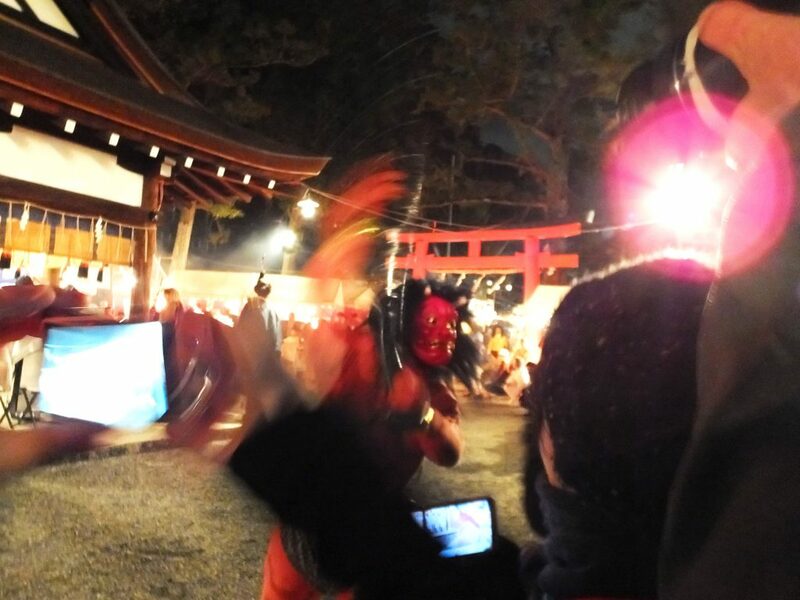 Before the tsuinashiki, you can see a Shinto priestess, miko dancing calmly. I looked back, and found a crowd. 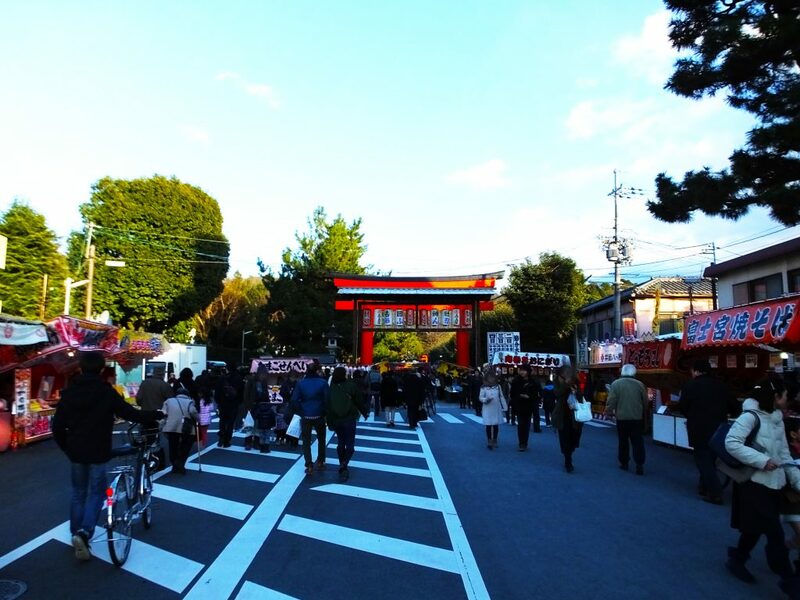 It was at 4:30 p.m, and the tsuinashiki began at 6:00 p.m. That means I had to wait in the crowd for 90 minutes to see the tsuinashiki! 90 minutes later, night had fallen. A good demon appeared with a Japanese sorcerer,onmyoji and children called shinshi. You can see the good demon in the left side of the picture. He’s called a hososhi. A bad demon was kicking up a row! 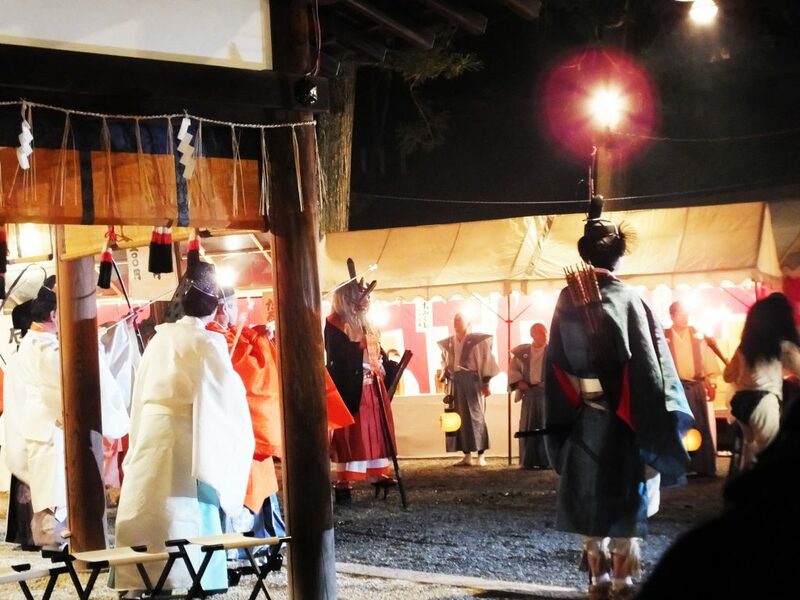 The highlight of the tsuinashiki was the bad demons’ powerful performance and the strong, majestic and cool hososhi. The demons were so scary that children were crying here and there. 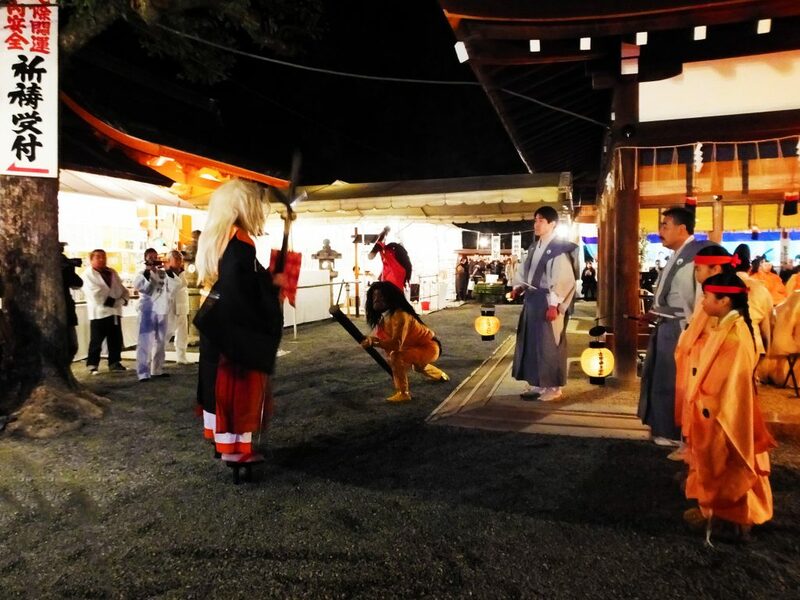 The bad demons attacked the hososhi. The hososhi, in turn, attacked them. When the bad demons got weak, they were exorcised by arrows. Can you see people holding bows and arrows in the left side of the picture? 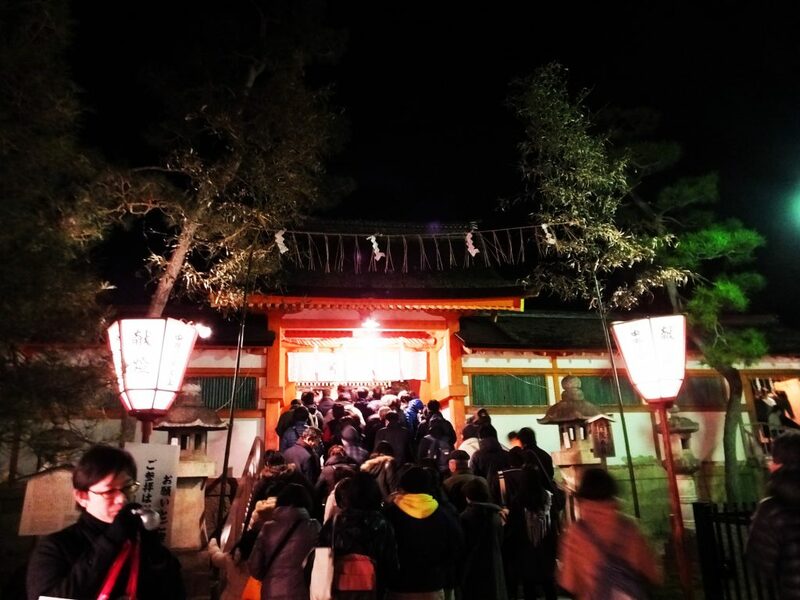 For people who can’t wait for a long time, I recommend walking in the shrine before it gets dark. The demons are also walking there, so perhaps you can meet them. 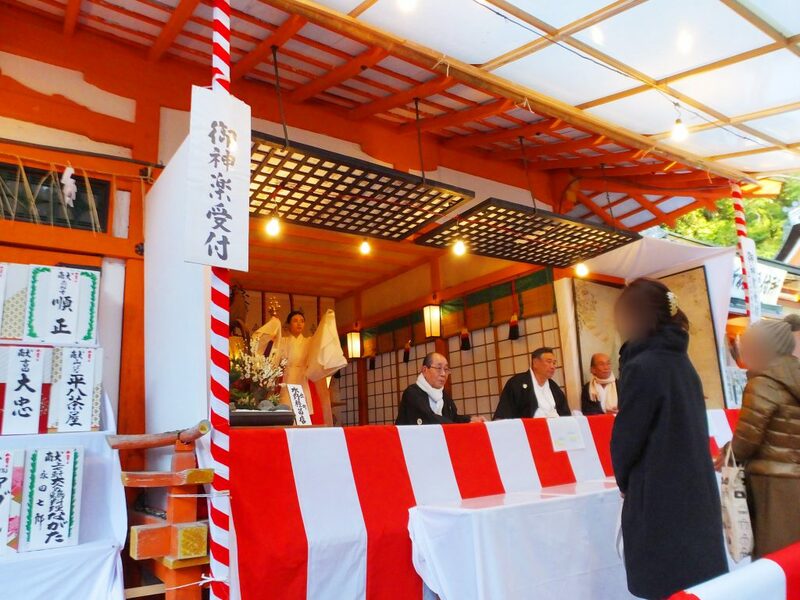 Even if you can’t, you can enjoy various food stalls. The tsuinashiki was over in about 25 minutes. After that, I walked around in the shrine for a while. 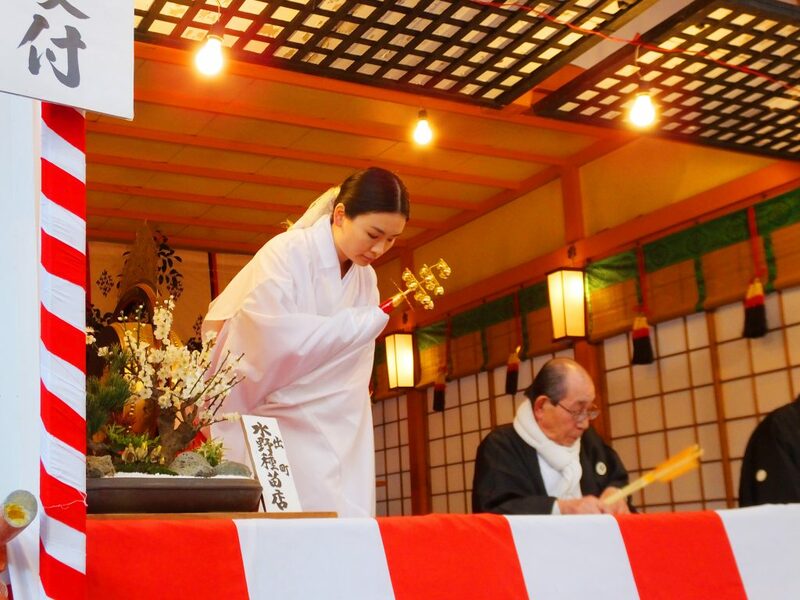 From February 2nd to 4th, you can pray before the place where we believe all Japanese deities are enshrined. 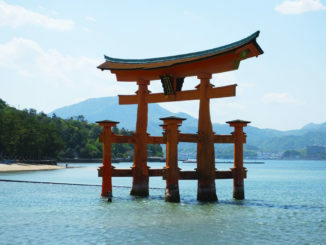 It means you can receive blessings from all deities in Japan. You can enter the place only on special days. Naturally, there were a large number of visitors. 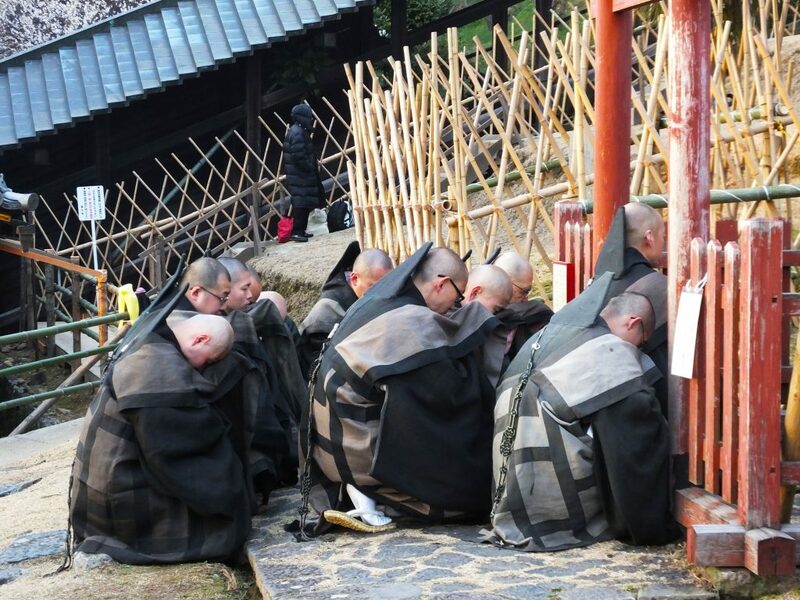 Visitors pray to drive away evil spirits. 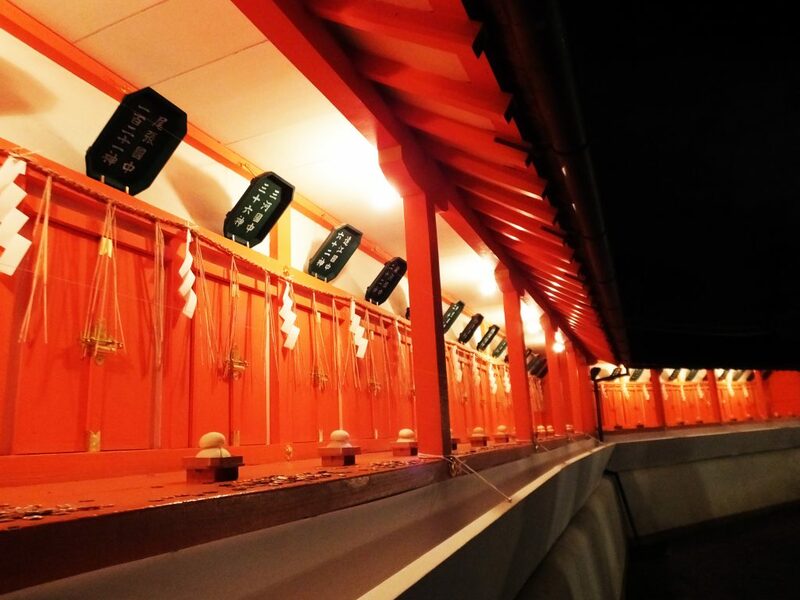 So many miniatures of “Shinto shrines in Japan” are lined up in a row. It was cold, but I felt warm because I had hot bean tea. Maybe you should remember that Japanese sweets and hot bean tea are served for free on February 2nd and 3rd. 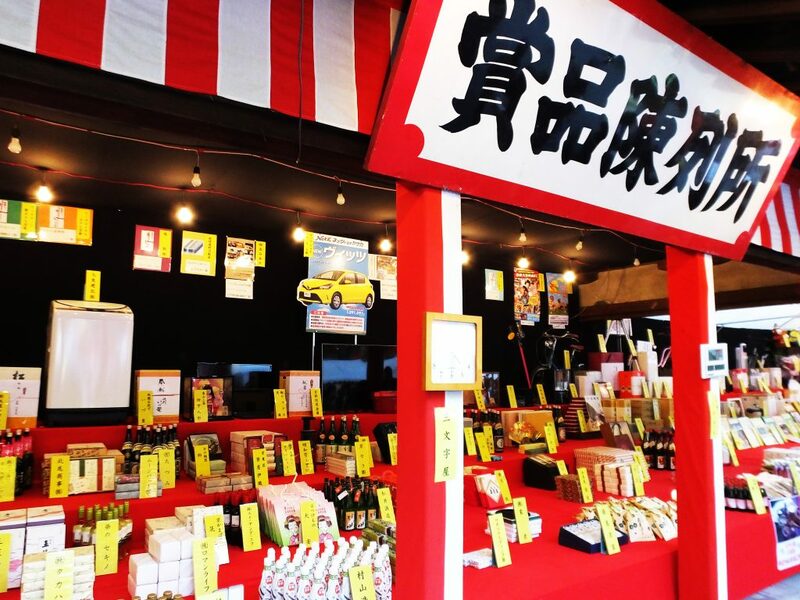 One thing many people are looking forward to is buying fukumame, or lucky beans. They drive away evil spirits. 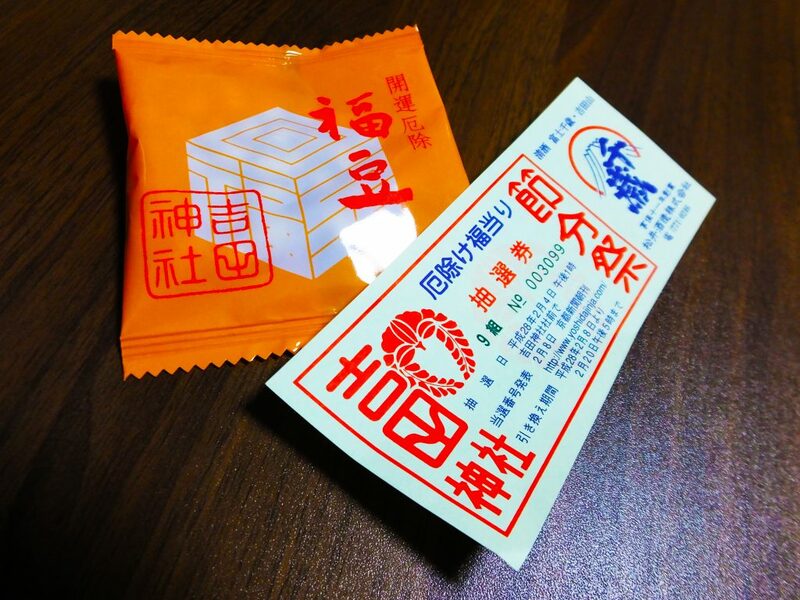 You can buy a small bag of fukumame at 200 yen. If you buy one, you can get one lottery ticket. A woman next to me bought 10 bags, but I wanted to try my luck and got only one. The result was … I drew a blank! Life is not so easy. If you draw a winning number, perhaps you can get a car. I enjoyed the tsuinashiki and the fukumame so much. I also enjoyed the fun atmosphere that many food stalls created in the dark. 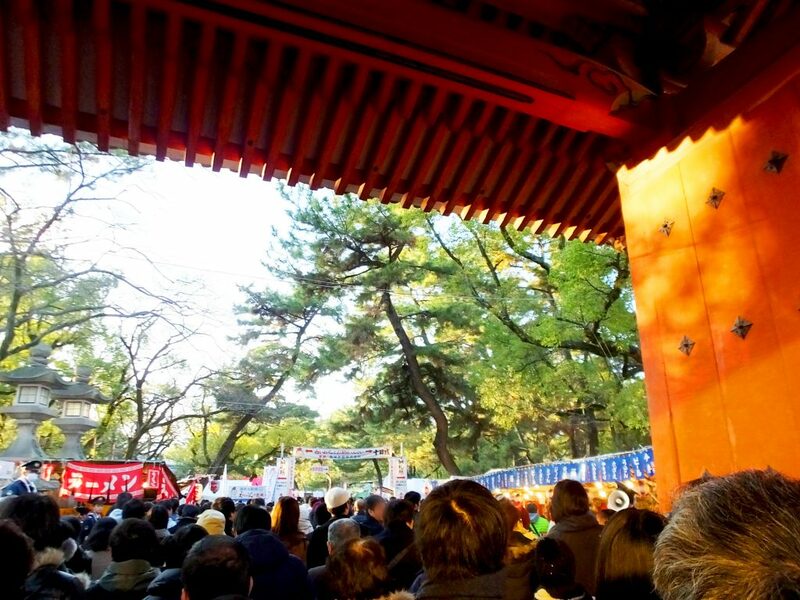 The shrine was full of people including tourists from other countries.